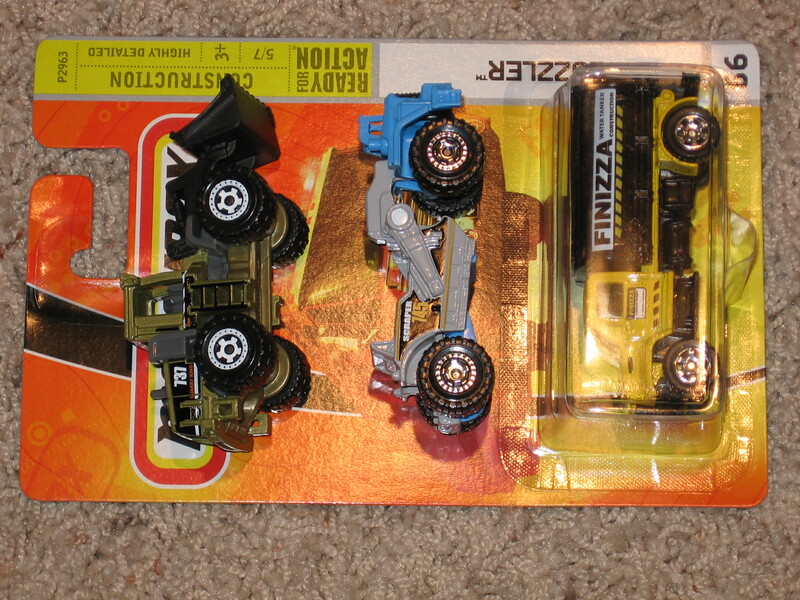 All of the loose trucks pictured were in the set for 10 dollars, along with some others that were not pictured, because they weren't even near HO scale. 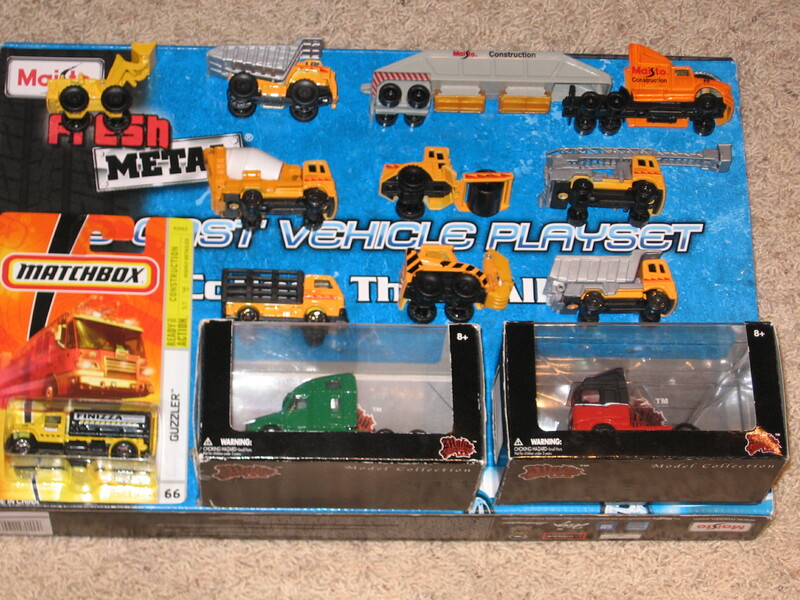 I'm pretty sure that the concrete mixer, trash truck, and tanker are all HO scale, but I'm not so sure about the scraper and front end loader. 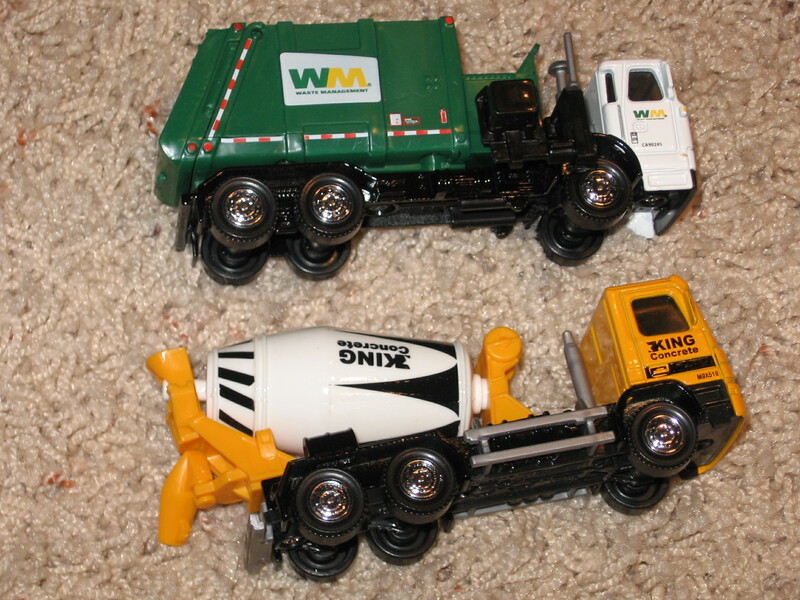 The trash truck and concrete mixer were 5 dollars apiece, because they have more detail, and the scraper, front-end loader, and tanker were only a dollar each. 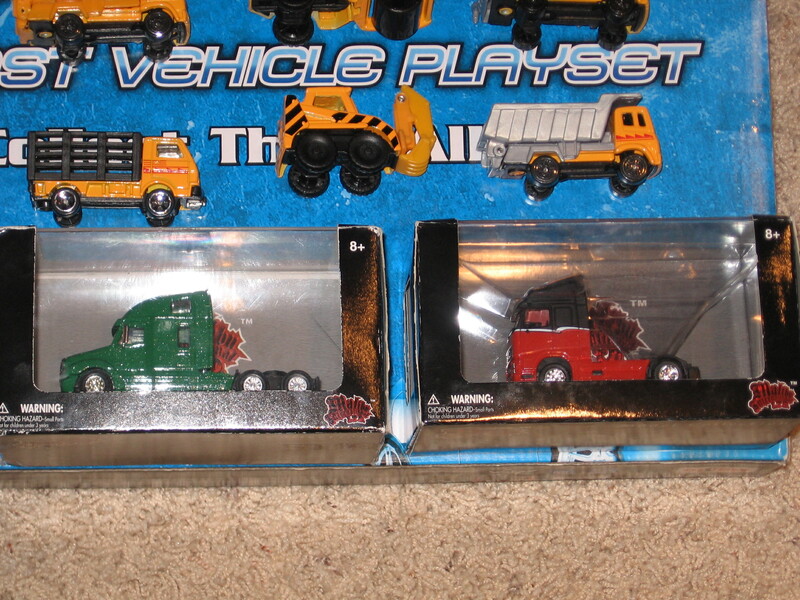 I think I'm going to repaint the scraper and loader. Maybe Caterpillar yellow! They say that they're HO scale on the package, so these were a safe purchase. I have to find some trailers for them, but I think the local hobby shop can help me out there. They might be part of my future truck stop, but the construction site takes precedence.